“The ISAB’s broad and long-standing recognition of spill’s role in boosting salmon survival is echoed in today’s review, as is its interest in ensuring that the Council’s program rests on a rock-solid scientific foundation. We are pleased the ISAB has determined that a spill experiment has merit, that it is likely to enhance our knowledge of spill and its effects on salmon survival, and that it is consistent with the need for and role of adaptive management. We believe answering key questions raised by the reviewers, where robust responses do not already exist, will strengthen the test design. 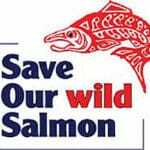 One thing we know for sure – as the ISAB points out – is that salmon need more help now in order to reach the survival levels that will ultimately lead to their recovery; spill is a proven way of providing that help.